This study’s main goal is to investigate the role of women in responding to financial pressures in the fishing sector. In the UK, small-scale vessels (those under ten metres) make up 80% of the fishing fleet yet receive only 4% of the national fishing quota. By failing to prioritise this industry, it is widely established that the UK has left the communities that depend upon it vulnerable. In Newfoundland, the inshore industry has also been neglected. Combined with the closure of vital fisheries, families have been left in both social and economic peril. Women play a central role in the daily life of these families and are vital to the success of the fishing economy. Yet we currently know very little about how they help their businesses adapt and survive. We know even less about how this affects the wellbeing of women themselves. This research will interview women in the UK and Newfoundland. By studying women's changing roles in fishing families and how this is linked with their identities and wellbeing, this research will fill the gaps in our knowledge. It will provide new and vital insights into how fishing families can develop resilience to changes in their industry, and how governments can support this. It will also show how changes in fishing families can affect the wellbeing of women and what more can be done to support them. It is particularly timely because as the UK begins to leave the European Union, the government will be reviewing its fishing industry policies. During this process it will be making decisions about what type of fishery - and whom within it - should be supported. It is essential that these policies are underpinned by high quality and up-to-date evidence. Do you have experiences of life in a fishing family? The project will collect data in two phases by interviewing people and listening to their experiences. This kind of research is called a qualitative study and our participants are the experts. We listen to their voices so we can include their knowledge in our research. We will talk to women about their experiences in the forefront of fishing businesses, and also learn about their roles in areas related to fishing - such as working in fish processing, markets, and restaurants. Phase one will involve in-depth interviews with women in fishing families in the UK and Newfoundland, Canada. By collecting information from both locations we will be able to explore similarities and differences between two countries with different fishing policies. A more extensive period of data collection will then follow in the UK. After an initial interview, UK participants will be given the option to take part in two more meetings were will will use photography and a research diary to explore what it means to be part of a fishing family. Phase two will involve semi-structured interviews with policy makers and government representatives in the UK. We will explore how women can be supported by future fishing policies, particularly those following the UK’s exit from the European Union. A key goal of the project is to establish a UK-wide network for women in fishing families. 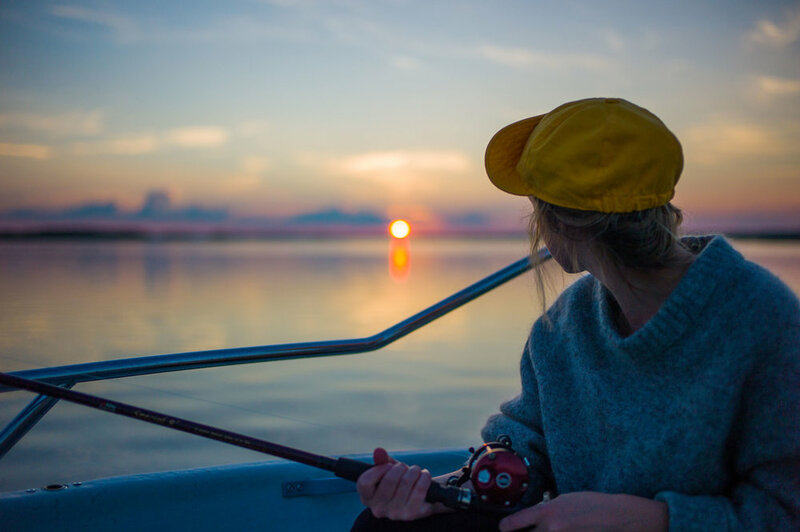 The 'Women in Fishing Families Association' (or WIFFA for short) will help women to connect with each other, share experiences, and offer support. More information will be available on this shortly.